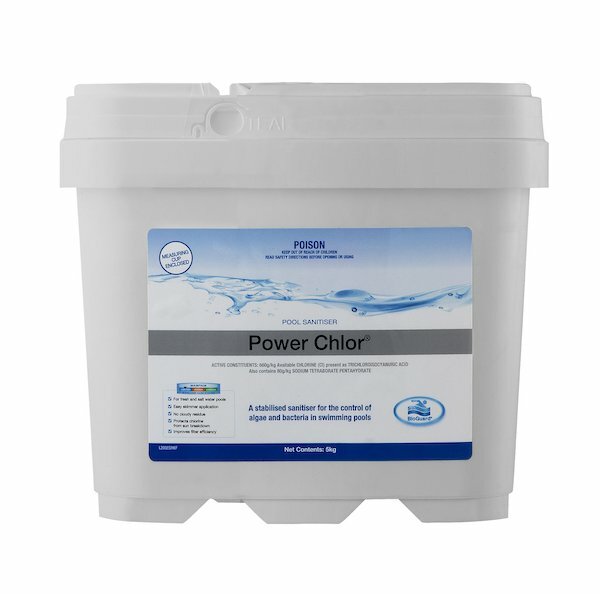 BioGuard Power Chlor is a revolutionary patented product. Each co-compacted granule contains trichlor for killing algae and bacteria, chlorine-tolerant clarifiers for keeping water crystal clear, and water-enhancing agents to provide a silky smooth feel to the water whilst reducing skin and eye irritation. Less skin and eye irritation than many other chlorinating products. Easy to use with no need to pre-dissolve. Concentrated so you use less. Minimal impact on water balance, saving you money.